ARLINGTON, VA; January 5, 2016 -- PBS and WGBH announced today that viewers tuned in by the millions on Sunday night to kick-off the final season of one of television’s most beloved dramas. Sunday’s premiere of “Downton Abbey, The Final Season” on MASTERPIECE drew an average audience of 9.9 million viewers (Nielsen Live+Same Day Fast National data, 6.2 household rating). “Downton Abbey,” a Carnival Films/MASTERPIECE co-production, remains the top PBS drama of all time. The sixth season premiere of the Emmy®, Golden Globe®, SAG Award®, Producers Guild® and BAFTA®-winning series drew an audience nearly even with that of the Season 5 premiere (10.1 million viewers), and the episode’s 6.2 household rating ties it with the Season 4 premiere as the highest-rated episode to date. The episode also drew the biggest ever household audience for “Downton Abbey” with 7.3 million U.S. households tuning in (all based on Nielsen Live+Same Day Fast National data). Viewership for the episode, which began at 9:00 p.m. ET, remained solid throughout the episode’s one-hour, 15-minute duration. Between 9:30-10:15 p.m., PBS was the second most-watched network on Sunday, behind NBC (based on weighted metered market program averages). According to Nielsen, a Twitter TV audience of 1.4 million people saw more than 47,000 tweets during the premiere evening, generating a total of 6.1 million impressions and making it the #1 primetime series episode, ranked by Unique Audience. PBS and MASTERPIECE insiders — as well as moderators from Tom and Lorenzo (@tomandlorenzo), Mandi Bierly of Yahoo! TV (@Mandi Bierly) and Sandra Gonzalez of Mashable (@TheSandraG) — will continue to host live discussions during each broadcast to connect directly with fans on social media. To engage viewers in the series’ premiere, more than 137 local PBS stations hosted a combined total of more than 320 preview-screening events. These events ranged from intimate gatherings at major donors’ homes, to multiple showings at 3,000-seat theaters to extend the excitement of the series through communities across the country. The new season is available for streaming free on PBS station websites, PBS.org and PBS’ apps for iOS, Android, Apple TV, Roku, Android TV, Xbox, Chromecast and FireTV, for a limited time after each national broadcast. MASTERPIECE STUDIO, MASTERPIECE’s newly launched podcast, reached #7 on iTunes' top podcast chart on January 4. New episodes of “Downton Abbey, The Final Season” can be purchased the day after their broadcast premieres through iTunes, Amazon Instant Video, VUDU and Google Play. 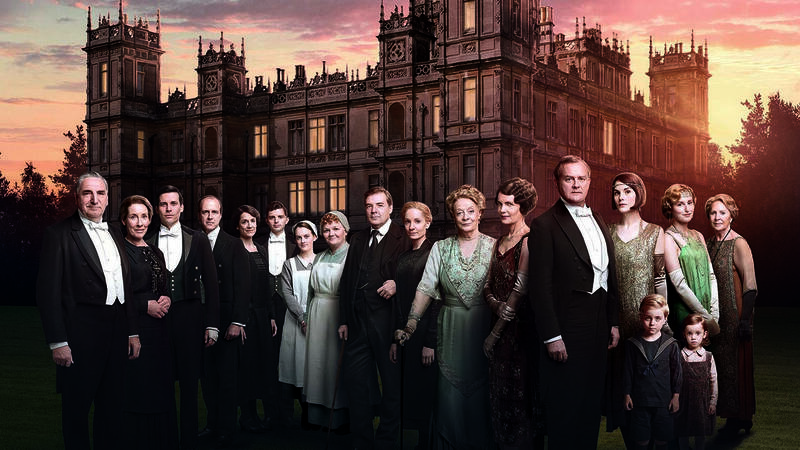 Fans can also purchase Seasons 1-5 of “Downton Abbey” and pre-order Season 6 through sites and services including iTunes, Amazon.com and ShopPBS.org.